We live in a society that thrives on speed and constant stimulation. Nobody has time to sit down for an extended listening session with a nice pair of headphones and a tall cup of tea. In a perfect world, nobody would need Bluetooth speakers because we’d all be unemployed and have all the time in the world to listen to a wired stereo system. But we don’t live in a perfect world, so most of the time we’re on the go, trying to get our hands on as much of the pie as possible. Bluetooth speakers are not known for their stunning designs. Most wireless audio devices choose to go with ruggedness over style. Typically, we don’t mind an unsightly speaker, especially if the alternative is a short lifespan and decreased sound quality, but wouldn’t it be nice if we could have both? Why must we sacrifice aesthetics in the name of sound quality? There must be a way to combine both worlds into a perfect, little audio product. Bang & Olufsen are known for engineering premium audio equipment, with staggering sound quality and an attention to design detail. You might remember our review of the Beoplay H9i wireless headphones, in which we applauded Bang & Olufsen’s unwillingness to sacrifice both premium design and professional sound quality. 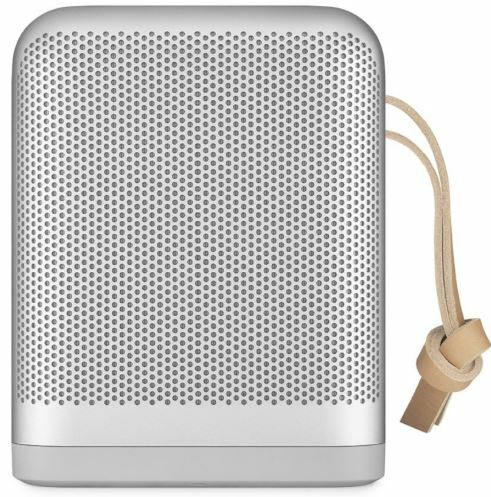 The consumer audio company has made an impressive new addition to the Play line with the Beoplay P6 portable speaker system. Not only do they look stunning, but their audio specs are among the best of portable Bluetooth audio devices. Over the past week we were able to review the Beoplay P6, in all of its premium glory. Here is our honest review of the Bang & Olufsen Beoplay P6 Bluetooth speakers. As far as packaging is concerned, the P6 doesn’t come with many frills. 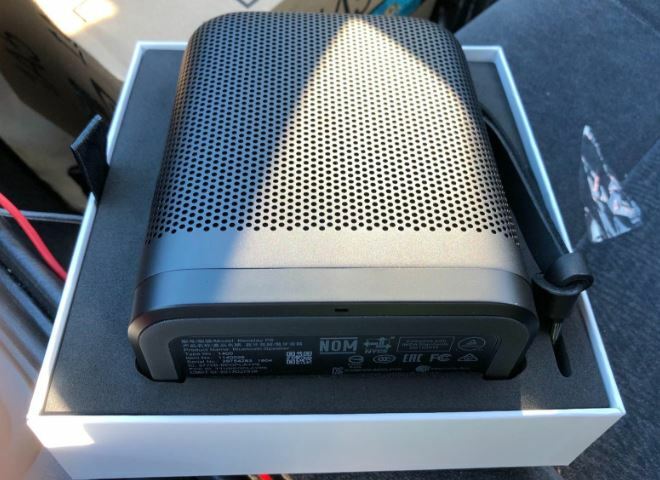 All you’ll find in the box is the speaker itself, a quick start guide and a USB-C to USB-A adaptor. Considering the premium price, we would have liked to have seen some sort of carrying case or protective covering, but alas, there is no case of the sort. The packing materials all seem of premium quality, which is what we have come to expect from Bang & Olufsen. There were no glaring packaging issues and none of the innards were shaking or stirring within the box before it was opened. Designed by Cecille Manz, the speaker’s frame is composed of pearl blasted aluminum, which gives the P6 an undeniably premium look. The smooth, rounded edges of the form factor are attractive, giving the speaker a softer feel than some of the more rugged devices, which often feature bulky, almost militant, rubberized edges. 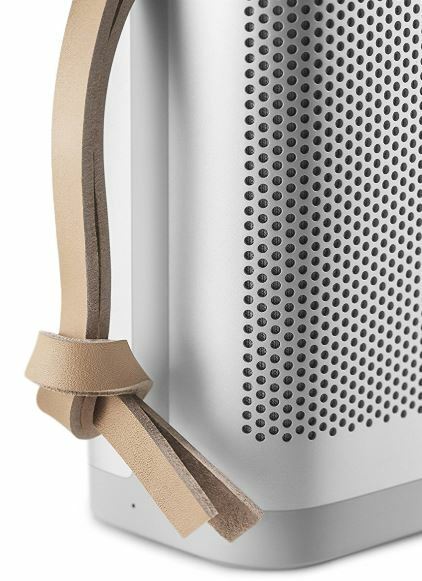 Attached to the speaker is a double-layered strap made with genuine leather. The strap feels strong and durable, without looking unsightly. 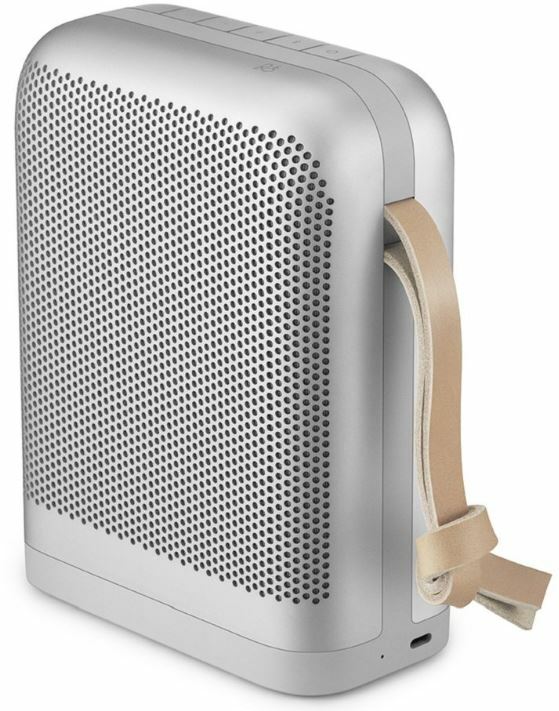 We much preferred carrying the speaker around with the strap, instead of lugging it under our arms like most other portable speakers. The rubberized polymer base adds a grippy piece of stability, and a bouncy level of protection in case of short drops or hard landings. The speaker measures in at 170 mm x 130 mm x 68 mm (6.7 in. x 5.1 in. x 2.7 in.) and weighs 1 kg. While it’s not the smallest speaker on the market, we found that the P6 was incredibly efficient with its space considering the sound quality. The speaker’s light weight makes the speaker incredibly easy to transport. When we were travelling with the speaker in our backpacks, we noticed no noticeable weight increase. The P6 is available in two different colors: natural and black. We much prefer the natural design, but both options feature a premium finish. There is no ultra-shiny, cheap-o, plasticky surfaces here. Ceceille Manz has done something special with the P6 by integrating a piece of Bang & Olufsen history into the speaker’s design. The design of the aluminum flex buttons, fine cuts and its sanded nature harkens back to the classic Beomaster 6000, which stands as one of the most iconic historical sound systems. Bang & Olufsen refers to these design flourishes as references to their heritage. Whatever the reasoning behind the design was intended to be, we’re really digging it. The Beoplay P6 features up to 16 hours of active listening at a moderate volume. As you increase the volume, the battery life will decrease, though we didn’t notice a significant difference (and we like our music loud). The built-in, rechargeable 2600 mAh battery fully recharges in about 3 hours when using a USB-C cable. 16 hours is enough to last through anyone’s day, even if they plan on listening to music the entire night. A long battery life is important to us since we are often on the move, so we really enjoyed the extended battery life. The Beoplay P6 features Bang & Olufsen’s signature True360 sound, which has impressed us with every listen. True360 offers a surround sound quality that rivals that of a designated stereo system. Bang & Olufsen have mastered the implementation of miniaturized 360-sound. The P6 features an open soundstage which makes the music feel pleasingly immersive. We have no complaints about any of the frequency ranges. The P6 covers frequencies between 55 – 20,000 Hz, an impressive range for a portable device. All levels sounded crisp and clear with no signs of muddiness or tinniness. The bass rumbles adequately and the highs sound as snappy as fresh celery. Or, if you happen to be a bunny, a fresh carrot. The speaker certainly has the hardware to back up the True360 sound. The P6’s custom designed 4” woofer, with three class-D amps which signal through one full-range driver and one 4” sub-woofer, combined with Bang & Olufsen’s smart processing algorithms provide a truly unmatched level of sound power for a Bluetooth speaker. For such a small device, the P6 features some powerful sound. 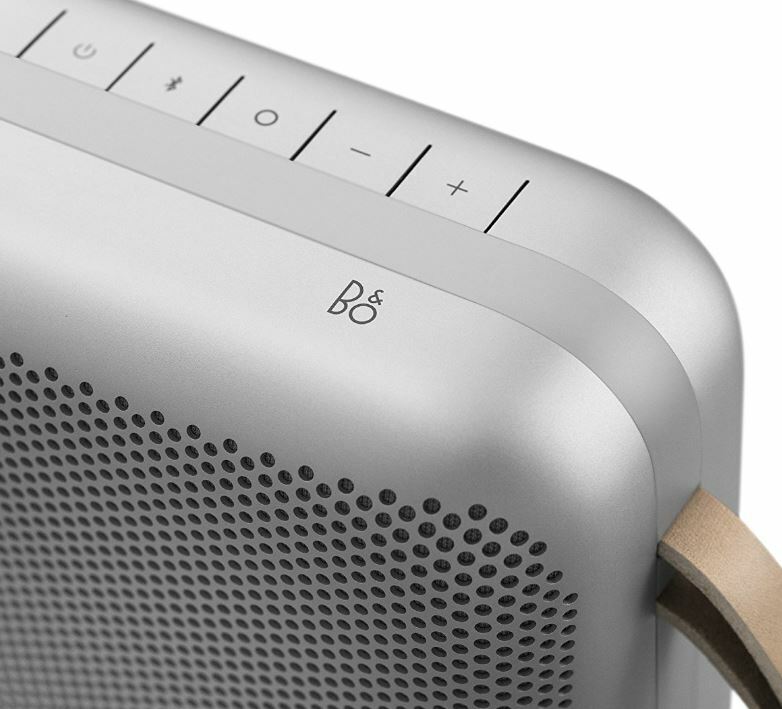 The P6 features five aluminum buttons across the top of the speaker: a power button, a Bluetooth button, two volume buttons and a button which Bang & Olufsen refer to as a OneTouch button. The OneTouch button allows the listener to play or pause the audio, answer phone calls, interact with Siri or Google Assistant, or select pre-set ToneTouch features. The flex buttons were easy to control and smart enough to avoid false touches. The OneTouch button is an innovative touch, allowing us just the right amount of control. The newest Beoplay features an omni-directional microphone for carrying on phone conversations with clear sound and very limited ambient noise. The microphone also allows access to voice assistant commands, such as with Alexa, Siri and Google Home. We tested the P6 through several phone conversations and were consistently told that our voices sounded clear and crisp. Siri never had any trouble understanding us, despite our hideously mumbled and stilted voices. Since the microphone is omni-directional, we didn’t have to be located on a specified side of the speaker. The P6 can hear you equally well from all angles. 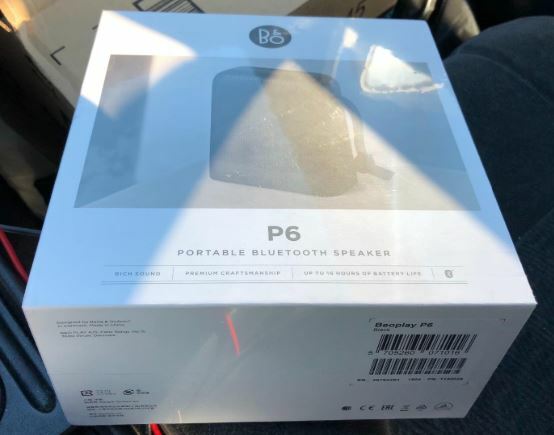 The P6 features the latest Bluetooth 4.2 connectivity, which means the speaker can interact with all your Internet of Things devices. Unfortunately, the P6 doesn’t feature direct WiFI connectivity, but makes up for it with a wireless pairing mode that allows you to combine forces with a second P6 device. This is a great idea for listening to audio in two different rooms, or expanding the audio range in a loud environment. During our testing we noticed no glaring connectivity issues, no lag, no latency and no unexpected disconnections. The P6’s Bluetooth range was even more impressive, providing us connectivity through most of our home. The Beoplay P6 features an IP54 rating, which means it is protected from limited dust ingress and water spray from any direction, but limited liquid ingress protection. An IP54 rating signifies that the speaker is safe to use in places where there might be condensation, such as in the bathroom while you shower or outside on a misty day. The speaker should even be safe pool side if it doesn’t become submerged. You’ll want to keep the P6 away from extremely dusty environments since it does not include total dust protection. The P6 is clearly not a speaker made to be ran over with a truck or thrown into the ocean, but for the average listener, the IP54 rating should be enough. We would be remiss if we didn’t mention Bang & Olufsen’s 2-year warranty and trial period. The Beoplay is not a budget device. The P6 costs as much as a premium pair of headphones. You’re going to pay a premium price, because you’re getting premium features. Bang & Olufsen understands that the P6 is somewhat of an investment, so they let you try out the speaker for a month risk-free. If you don’t like the sound, you can send it right back for a full refund. In addition, they also offer a two-year warranty which covers and defects or build malfunctions. When you’re purchasing a pricey electronic, having a warranty is a welcomed relief. Bang & Olufsen have put a lot of time and effort into developing the Beoplay P6 and it shows. 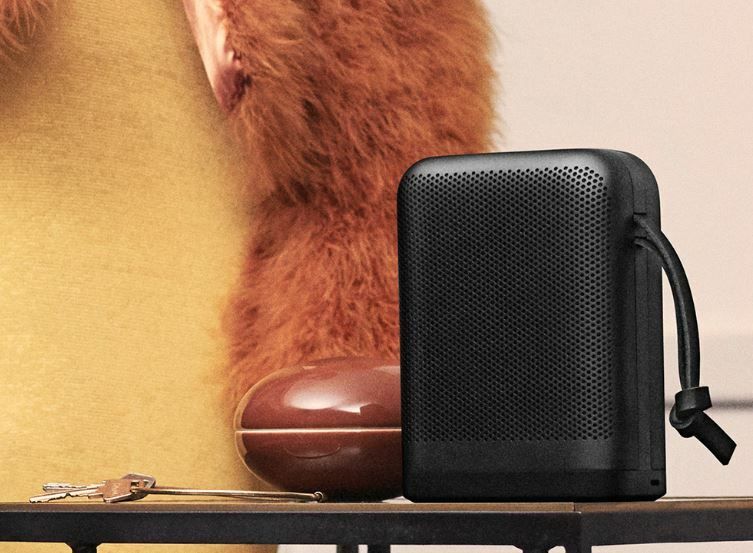 From the meticulous design, which harkens back to the Beomaster 6000, to the ease of portability, wireless connectivity, the sparkling speakers and omni-directional mic, the P6 is a Bluetooth speaker for people who like quality products. Sure, the price is not for people on a budget, but this is not a budget device. If you’re in the market for something disposable that doesn’t offer the same pride in its construction or sound quality, there is a massive number of devices to browse through, most of which are pretty cruddy. Or, as an alternative, you can invest a bit more money and own a device that will make your ears and eyes truly happy. We absolutely loved the Bang & Olufsen Beoplay P6, and we recommend it without a second’s hesitation.